Is planning your wedding causing you stress? One of the most overwhelming aspects of getting married is taking on all the tasks that go along with it. From start to finish, there is always a long list of “to-do’s” that seem to never end. From selecting the wedding date to hiring vendors, each part of the planning process comes with its own set of stresses. The key to managing this once-in-a-lifetime event is to get organized. Establishing a sense of order from the chaos, organized brides are able to have a more enjoyable time planning their wedding while also creating the wonderful day they’ve always envisioned. One of the best things to do when you first get engaged is to start a running list of every task you need to complete. Putting it all on paper (or laptop) helps you visualize each job and where it falls into the master scheme. For every task you list include a due date, approximate budget allocation and any other important details. Once the line item is complete, scratch it off the list or delete it. Apps can be a great way to take advantage of today’s technology to stay on track. Whether you use Pinterest to gather your wedding dress inspirations or Evernote to sync your to-do list with your phone, these programs help you stay organized wherever you go. If you have begun planning your special day than you already know the endless amounts of paperwork that begin to accumulate. Contract agreements, venue pamphlets and color swatches can quickly take over your home. To ensure you always know where to find something when you need it, keep all these odds and ends in one central location. A simple file sorter works great for this purpose. One of the biggest reasons why brides find the task of planning their wedding so stressful is because they lack the experience of pulling off such a large event. 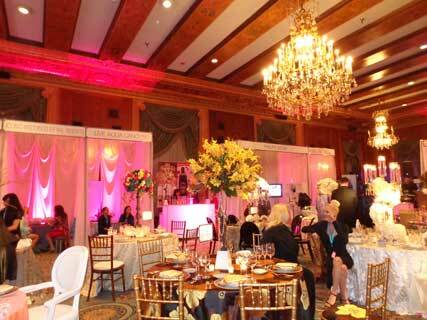 This is where the assistance of a professional wedding planner can be so helpful. Wedding planners know exactly what needs to be done, when it needs to be done, and the best way to go about it. Enlisting their help can be one of the smartest decisions you make. If you are looking for a professional partner to help coordinate your day, contact the team at Windermere Elegant Weddings and Special Events. We have helped countless Chicago area couples create the special wedding day they’ve envisioned. Our planners are experienced and knowledgeable in every aspect of the process from helping choose the perfect venue to scheduling the relaxing honeymoon after. Contact us today to learn more about how we can help you create the day you have always dreamed of.